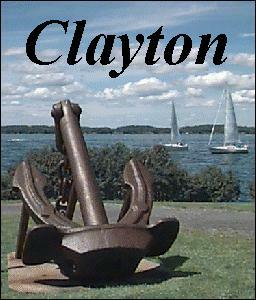 Located in the geographical center of the famous 1000 Islands, on a peninsula jutting out into the beautiful St. Lawrence River, Clayton is one of several small communities that make up the New York side of this very popular tourist mecca. In the early days of the last century, Clayton was the northern most terminus of the N.Y. Central Railroad. Throughout July and August, over 30 trains a day arrived and departed from Clayton. The railway station was located where Frink Memorial Park is now. There, passengers disembarked to steamboats that lined the docks, destined for islands and villages up and down the river and north into Canada. 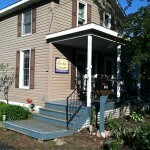 Today, Clayton is widely known and respected as the “cultural center” of the 1000 Islands. It is home to the world famous Antique Boat Museum, the world’s largest fresh water maritime museum, the 1000 Islands Museum of Clayton, with its Muskie and Duck Decoy Halls Of Fameand the American Handweaving Museum and Thousand Islands Craft School. 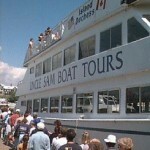 Each museum sponsors numerous annual events including the Antique Boat Show, Gem, Mineral & Jewelry, and Antique Shows. Nearly all of the downtown district is designated by the U.S. Federal Registry as “Historic,” with buildings dating back to the late 1800s. Most buildings have been well maintained or restored over the years, presenting a downtown area much as it was a century ago. An interesting and unique feature to downtown Clayton is that every street ends at the water. Clayton is also internationally recognized as a sportsman’s playground, featuring outstanding freshwater fishing for bass, pike, walleye and muskie and both big game and upland bird hunting on top quality, nearby preserves. 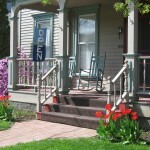 Being a tourism center for well over 100 years, Clayton is a village that is noted for its hospitality. Its merchants and residents alike look forward to the increased traffic that the summer season brings and are eager to help visitors in any way possible and make them feel at home. Clayton’s downtown streets are lined with quality gift, clothing and specialty food shops managed by owners that love to show off their goods to visitors. Within this same area are ten eating establishments including diners, pizza and sub shops and quality, table cloth restaurants. All offer lunch and some serve meals all afternoon. You will also find that Clayton’s restaurants have surprisingly low prices. The village of Clayton is also the home of Frink America, the world’s oldest and largest manufacturer of snowplows and other snowfighting equipment. In fact, the steel snowplow was invented in Clayton in 1920 by Carl Frink. 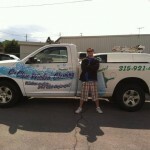 Many local businesses are featured below with their own web pages. Please examine what they offer, and when making reservations or patronizing these business, please be sure to mention you saw them on 1000ISLANDS.COM! 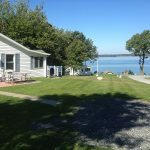 Burd-House is located in the summer wonderland known as the 1000 Islands available for weekly rental June through October. Is it possible to enter canada from clayton, by boat ?